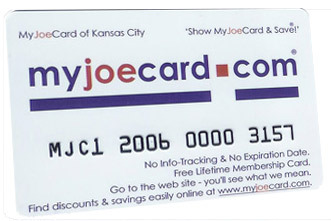 MyJoeCard of Austin | Go Green, Shop Local & Save in Austin + Digital Marketing. "The Only Thing In Your Wallet That Grows In Value Every Day." Business Owners: Want to give back to the community? Be a sponsor and help raise funds for Austin Metro Area schools, churches, youth groups & non-profit organizations w/ our True 100% Fundraising Program. See more information about becoming a sponsor here. Mention this ad to receive $150 off of any standard ad plan for a new market. Cedar Park's sports bar HQ: Direct TV sports packages, Longhorn Network + 37 HD TVs of NFL, MLB, NBA and NHL action and NCAA games. Reserve your spot for the game with call-ahead seating! (+ Gluten-Free menu options) Family-friendly w/ great food & service at reasonable prices . Hosting girl's night out, date nights, family time or hanging with the guys watching sports. Daily specials, Weekend Brunch, seasonal live music, ice cold beers on tap, games + late hours. See you at Gametime! Get a Free Trial Dance Class/Lesson with MyJoeCard at San Marcos Dance Studio! From children's ballet, tap, jazz combo, hip hop, contemporary styles and more.